Surround Yourself with supportive and health-conscious people. With NeoLife, you belong to a community of passionate people committed to being their best. You’ll be accepted and loved exactly as you are, but encouraged and empowered to harness your potential and live out your purpose. Incentives like the 3 for FREE program reward you for sharing good health with your friends. 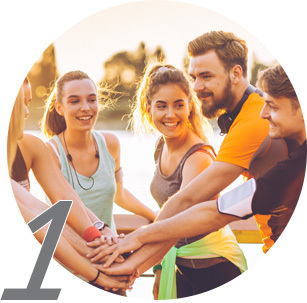 Plus, the Be Your Best Challenge is the perfect way to invite your friends to get healthy, be each other’s accountability buddies, and get personalized support from Challenge Coaches. Finding the right career for you — whether that is as a worker, student, volunteer, retiree or stay-at-home parent — can be a powerful motivator for good health. U.S. adults who agree with three measures of purpose well-being — reaching most of their goals in the last 12 months, learning or doing something interesting every day, and having a leader who makes them enthusiastic about the future — are significantly more likely to report eating healthily “yesterday” than those who disagree with those measures. It seems plausible that having a strong sense of purpose could give someone a compelling reason to want to eat healthily and live their best possible life. Discovering your “why” and keeping a reminder of it visible, such as on the refrigerator or on your desk at work, could give someone the extra push to sustain healthy eating habits. Plus, where else can you launch a startup for the same amount of $ as taking a couple friends out to dinner? With a NeoLife Nutrition Startup, you own your own business on your own terms – work wherever you want, whenever you want and get rewarded for sharing good health. Gallup-Sharecare research also finds that those who agree they have enough money to do everything they want to do are significantly more likely to report eating healthily “yesterday” than those who disagree. 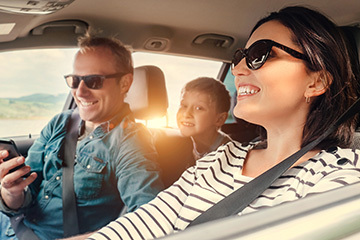 Simply having a budget and long-term financial plan in place to pay off debt, save for retirement and meet other goals can reduce undue financial stress. Almost two in three Americans don’t have enough savings to pay for a $500 car repair or a $1,000 emergency room bill. That breaks our heart. That’s why we do what we do. The NeoLife Startup Opportunity offers a solution to life’s most pressing needs and wants, no matter what stage you’re at. Whether you want to get out of debt, build a strong financial future for your family, or simply earn extra money for a quality education for your children, we want to show you the way. Plus, enjoy the quality of life available to those who’ve found meaning, purpose and belonging through their career. Travel the world while you change the world. We are on a mission to make the world a healthier and happier place. We are committed to end the trend of chronic disease that is literally destroying families around the world. Using superior quality whole food nutrition as our weapon of choice. Let’s do this!